C-print on crystal archive paper, printed 2010, 26 x 40 in. Edition of 10. Also available 20 x 30", edition of 15. C-print on crystal archive paper, printed 2010, 30 x 20 in. Edition of 15. Also available 40 x 26", edition of 10. C-print on crystal archive paper, printed 2010, 20 x 30 in. Edition of 15. Also available 26 x 40", edition of 10. Steven Kasher Gallery is pleased to announce an exhibition featuring National Geographic’s most celebrated photographer, William Albert Allard. William Albert Allard: Five Decades features over 30 large-scale color photographs and a selection of unique Polaroids from the artist’s almost fifty-year career. Accompanying the exhibition is the release of the publication William Albert Allard, Five Decades: A Retrospective (Focal Point, 2010). The book is part memoir and part retrospective, documenting his career as a photographer and writer. William Albert Allard’s work has moved millions in the pages of National Geographic for nearly five decades. 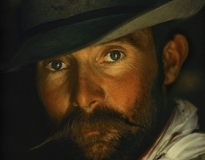 He is the colorist and dramatist that National Geographicphotographers esteem the most as a pioneer and peerless exemplar of natural, expressive color in magazine photography. Allard is Manet with Kodachrome, wielding slashing strokes of blood red and bullhide black. Allard is Hemingway with a Leica, crafting complex tales of matadors and cowboys, of fishermen and farmers. His characters struggle, with dignity and grace. They attend to the ceremony of their own survival, alone, but in touch with sympathetic others. 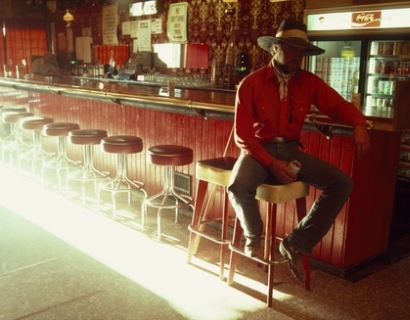 William Albert Allard could be the greatest photographer you’ve never heard of. Allard has traveled the world on assignment since 1964. He has photographed (and sometimes written) stories on Mexico and Peru, on France and Spain, on India, and Nevada, Montana, Texas, and Minnesota. Allard’s stories are about individuals and the roles they play in their societies: three Basque fishermen rapt by a poet’s recitation, a beskirted Hutterite girl at the batter’s plate, an Indian quarry worker who looks like she could support the Parthenon. 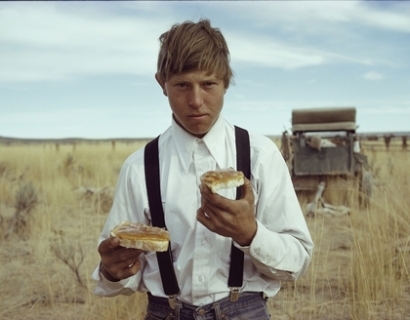 There are monumental cowboys: eating bread with syrup, drinking coffee or whiskey, riding the prairie. He loves women too, like the veiled actress in Sicily, the Montana girl braiding her hair with shadows, or the shivering Delhi girl with her dog and shack. Sally Mann writes of Allard: "I walked into a show of Bill’s work recently that just parted my hair. He shows us the potent magic of living, the luminous mystery of the transitory, and all with a deftness and compassion unique to his vision." The Wall Street Journal recently reviewed, "Allard is a sculptor on film, chiseling faces into monumentality." 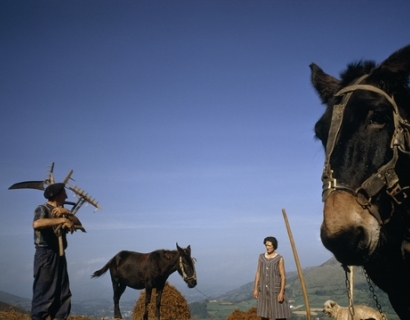 Allard has been a contributor to Magnum Photos. His work is in the permanent collection of the Metropolitan Museum of Art. His first book, Vanishing Breed (New York Graphic Society Books/Little Brown, 1981), was nominated for The American Book Award and received the Leica Medal of Excellence. Other books include The Photographic Essay(Bullfinch Press/Little Brown, 1989), A Time We Knew (University of Nevada Press, 1990),Time at the Lake: A Minnesota Album (Pfeifer/Hamilton Publishers, 1997), and Portraits of America (Insight/National Geographic, 2001).